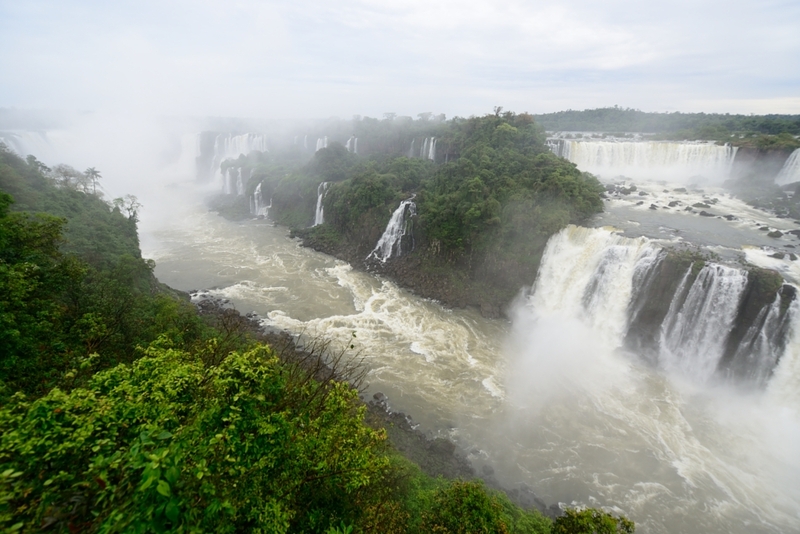 Today we left Argentina (will be returning in a few weeks) and entered Brazil. 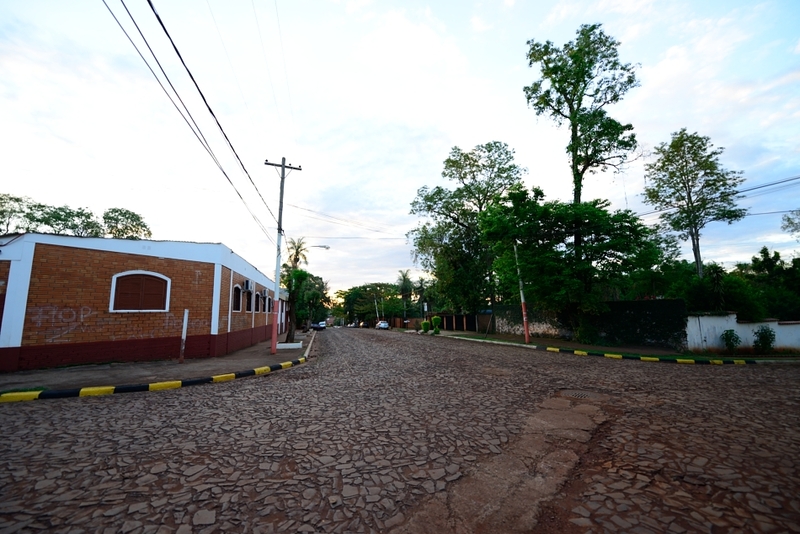 In the morning, we took local transportation to cross the border. 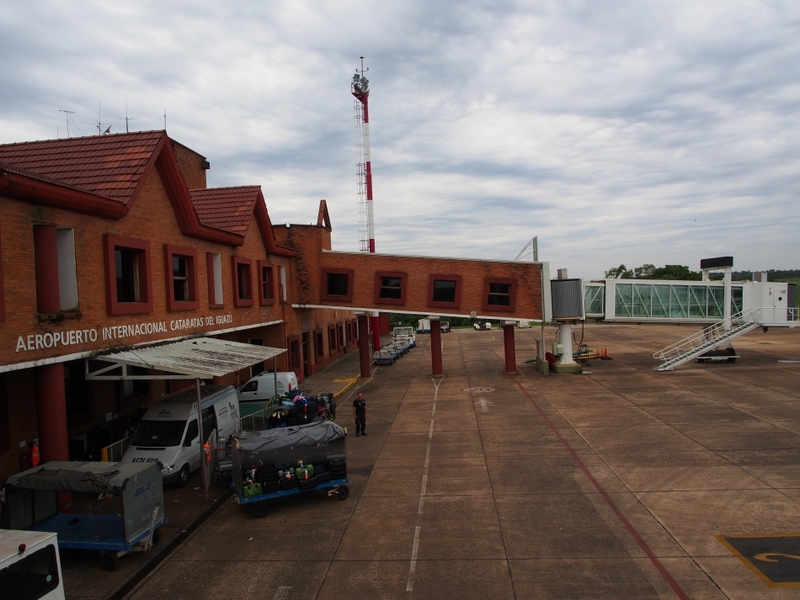 At the bus terminal of Puerto Iguazu, we took a bus to the national border. 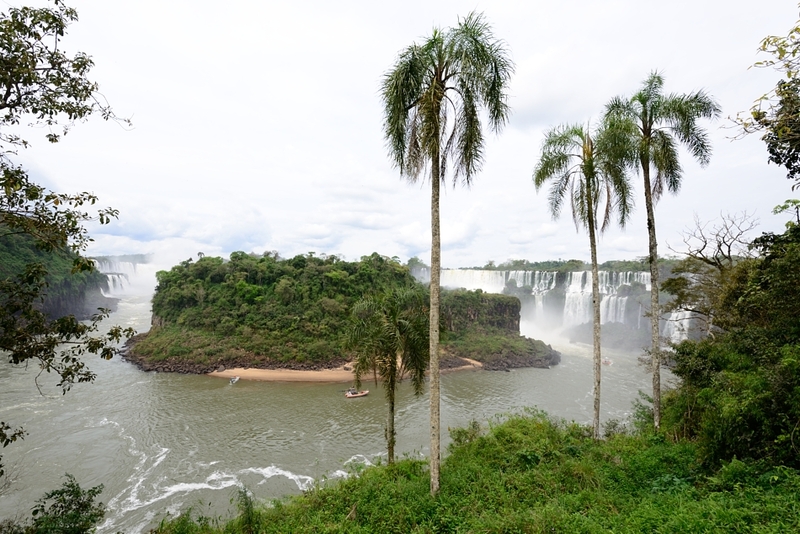 Thanks to the locals who pointed us with the right directions, everything went smoothly as we got the exit stamp of Argentina, crossed the river dividing the two countries, and went through the Brazilian passport control. 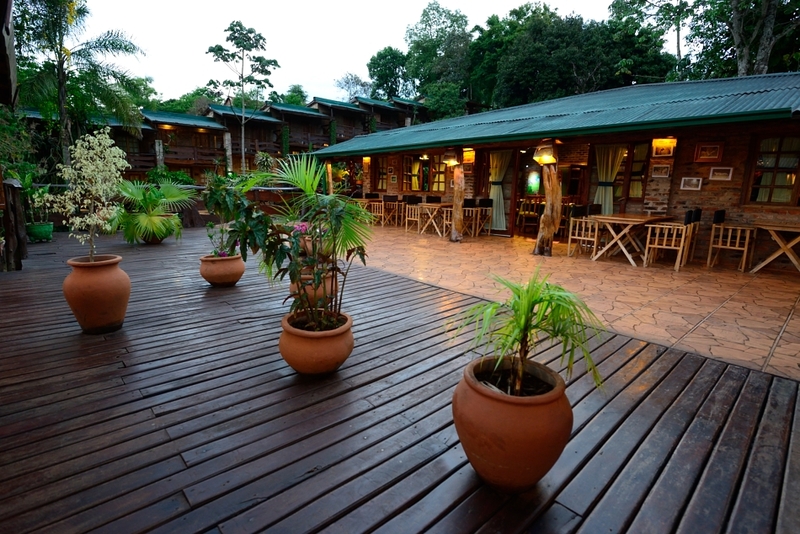 At the Brazilian side, we took another bus going towards Foz dos Iguacu and got off at Bonborn Hotel as instructed by the staff at Jasy Hotel. 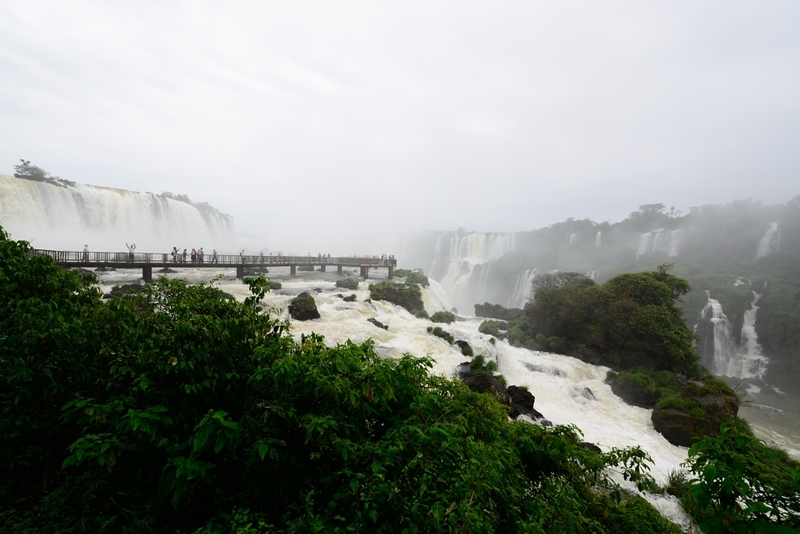 Then we crossed the road and got on another local bus that took us to the Brazilian Iguacu Falls National Park. We had a few hours to visit the park before our evening flight to Cuiaba. At the park entrance, we dropped off our backpacks at the locker storage. Then we hopped on a park shuttle bus at the entry hall covered by a huge canopy. All the major lookouts and attractions were connected by the shuttle route, allowing us to hop on and off as desired. We got off at the first lookout of the falls at a trailhead. It was grey, misty and occasionally rainy the entire day. 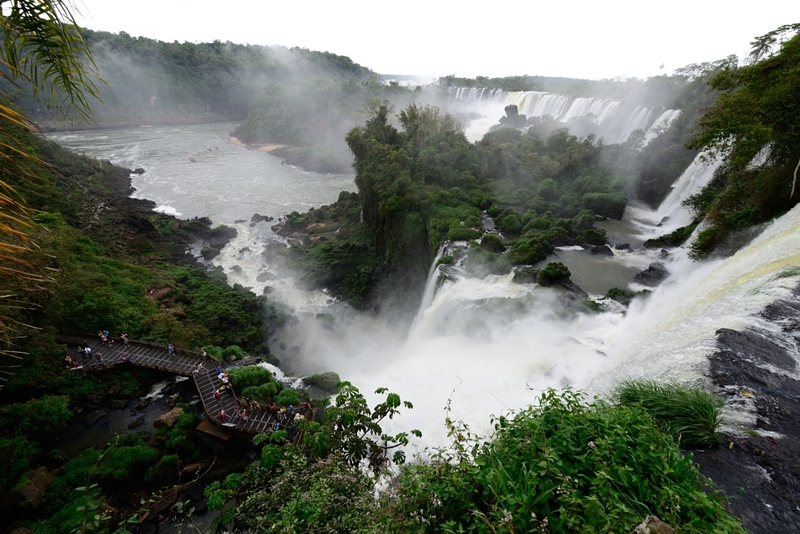 The trail took us to various panoramic views of the falls on the Argentine side. The views were spectacular if not for the weather that made everything looked greyish. 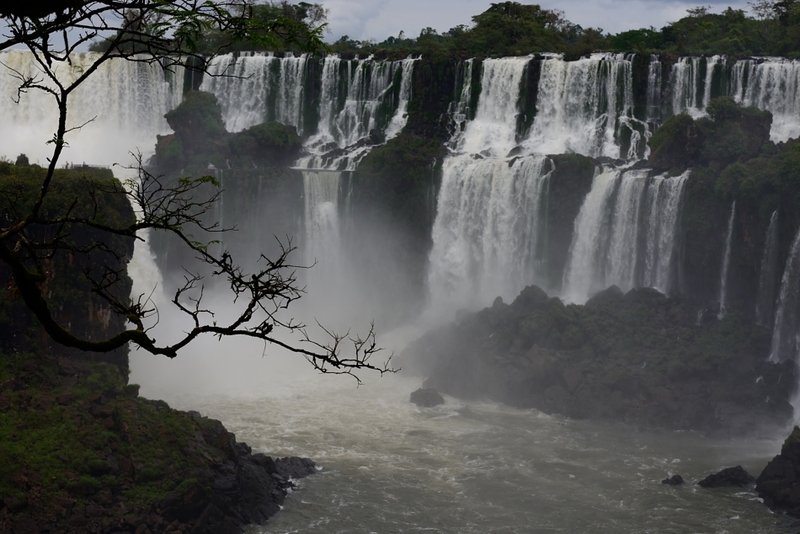 Our hike ended at a grand finale with a close encounter of the Brazilian side of the Devil’s Throat, the same fall section that we visited on the Argentine side on our first day. 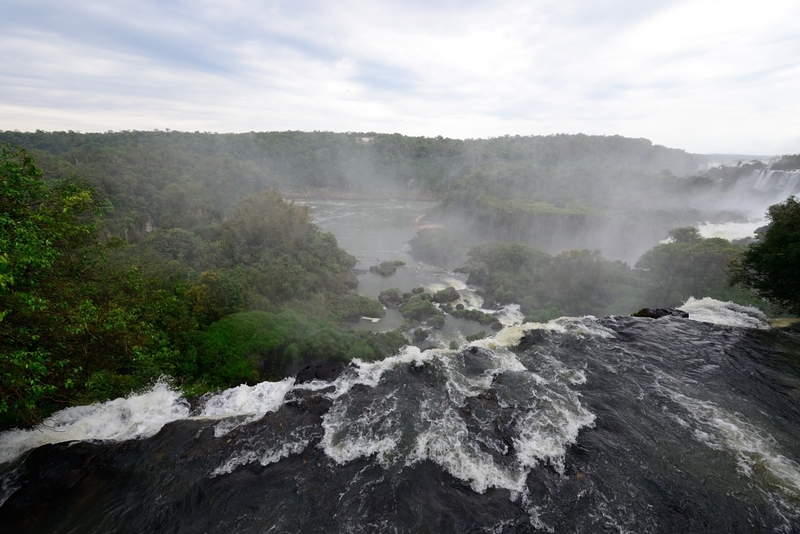 The Devil’s Throat is the largest falls among the 275 waterfalls in the area. 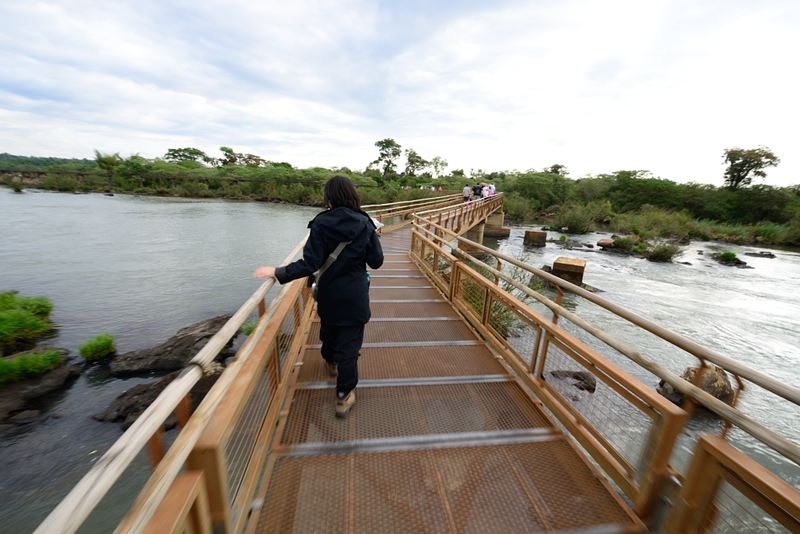 At Devil’s Throat, we walked out the metal walkway to the viewing platform right in front of the falls. It was a fun and soaking experience. 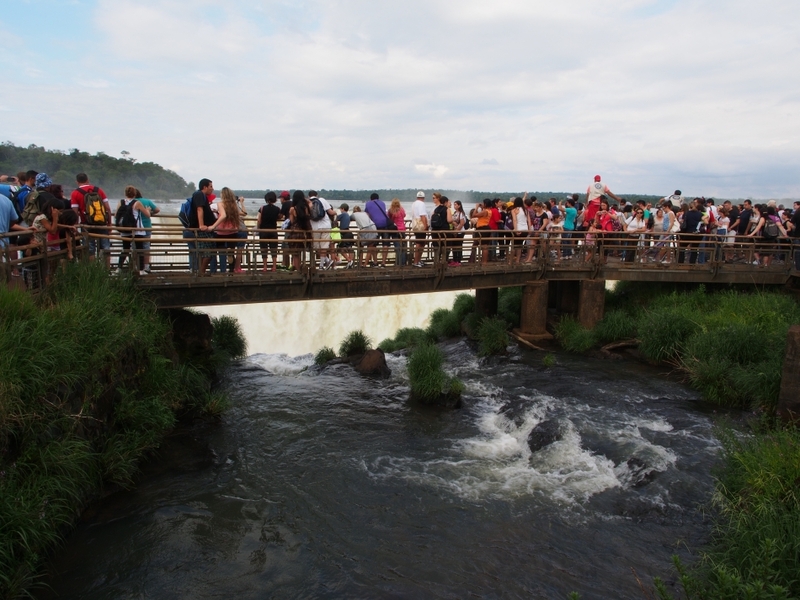 Then we went to the multi-level viewing platform at the side of the falls. 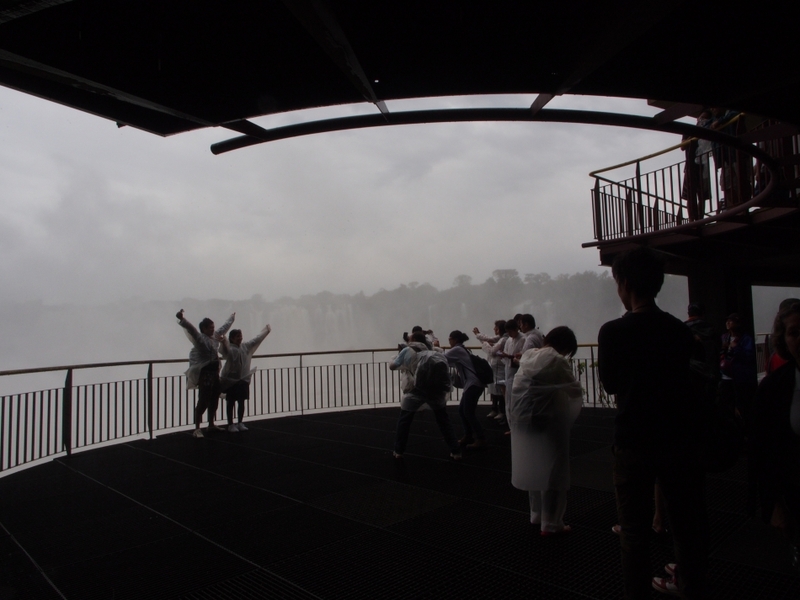 Against the guardrails, tourists were having fun posting in front of the water curtain for photos. 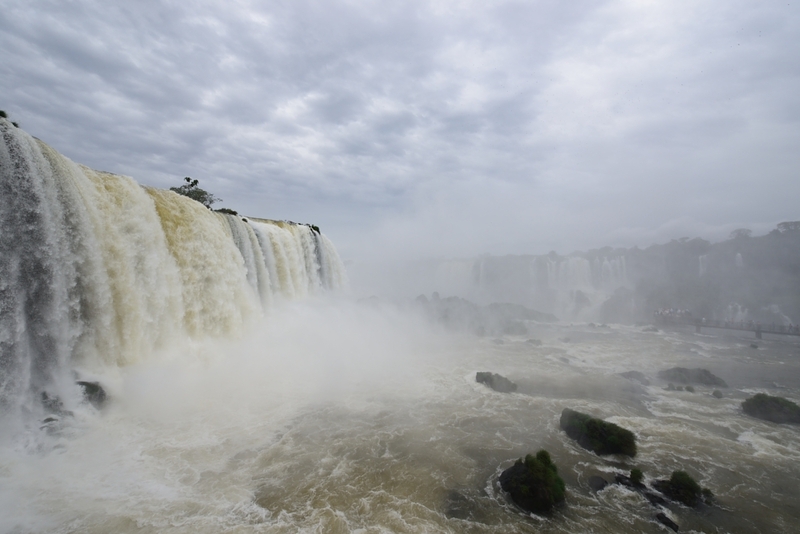 It was such a joyful and wet ending of our Iguazu experience. 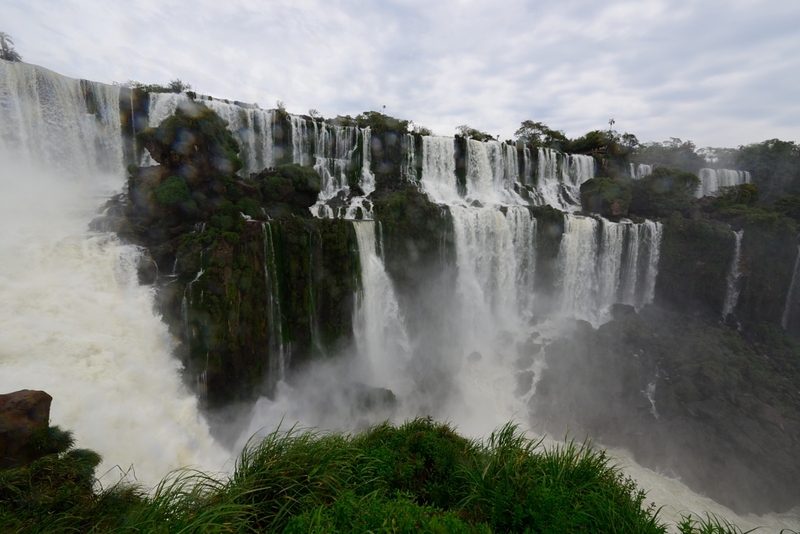 After our 2.5-day experience of the falls, we were happy about our visiting sequence: starting at the Argentine side of Devil’s Throat and ending at the Brazilian side. 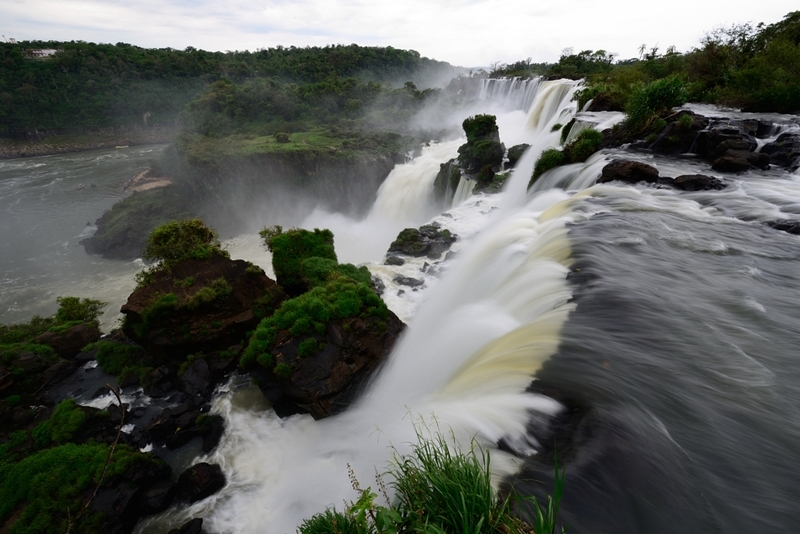 Visiting Iguazu is truly wonderful because of its variety of experiences. 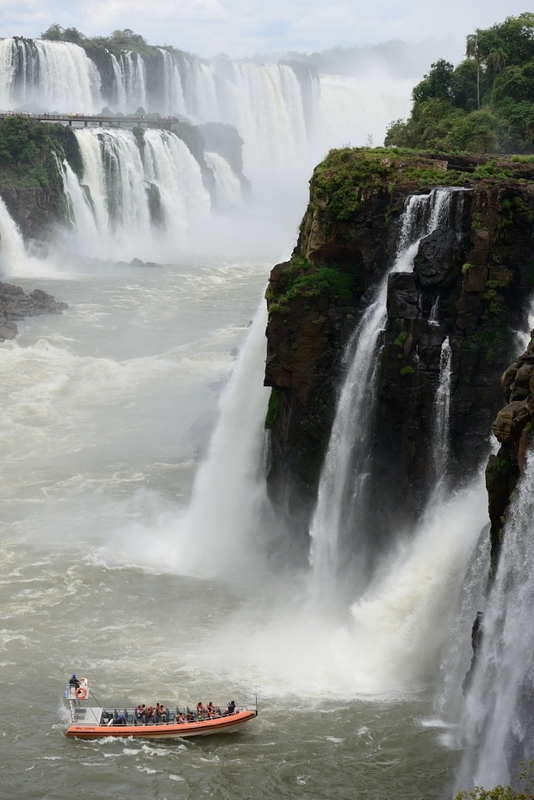 We concluded our visit to the Argentine Iguazu National Park with a relaxing walk on the Upper Trail which took us to the top of the falls. San Martin Island had been closed to visitors for the past few days due to high water level. We were delighted to find out that the island was open today. 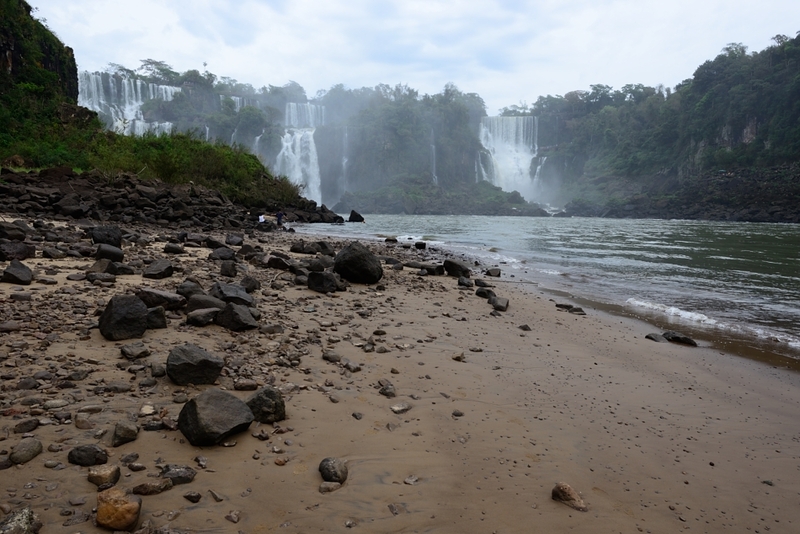 Located in between the falls, San Martin Island is a small rocky island famous for its impressively close views of the thundering water and it’s only accessible by boat. We descended the stairs off the Lower Trail to a boating platform where we hopped on a small motorboat for the island. The distance was short and the boat landed on the sandy side of the island in less than 5 minutes. The trail was wet and slippery but the lookouts offered spectacular views of the falls. 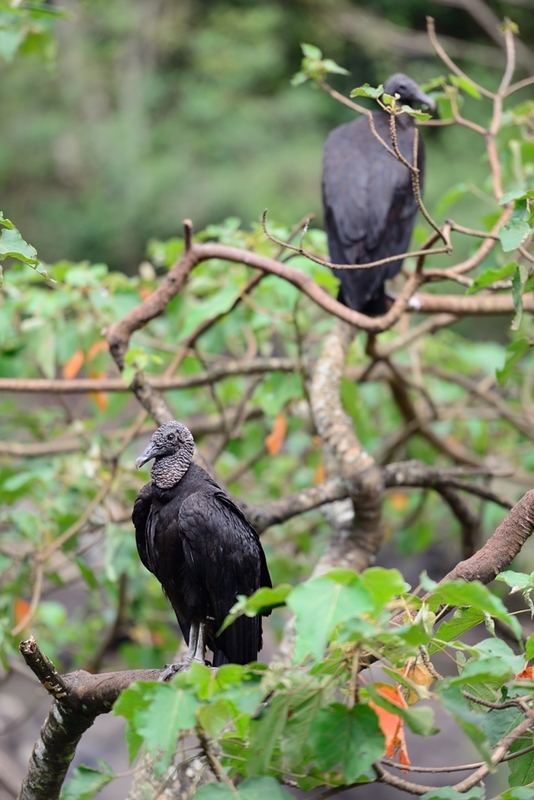 But the biggest surprise for us was the close encounter with many vultures that nested on the cliffs at the top of the island. The visit to the San Martin Island is a true highlight of the day. There were four major trails in the national park: The Devil’s Throat, The Lower Trail, San Martin Island and the Upper Trail. 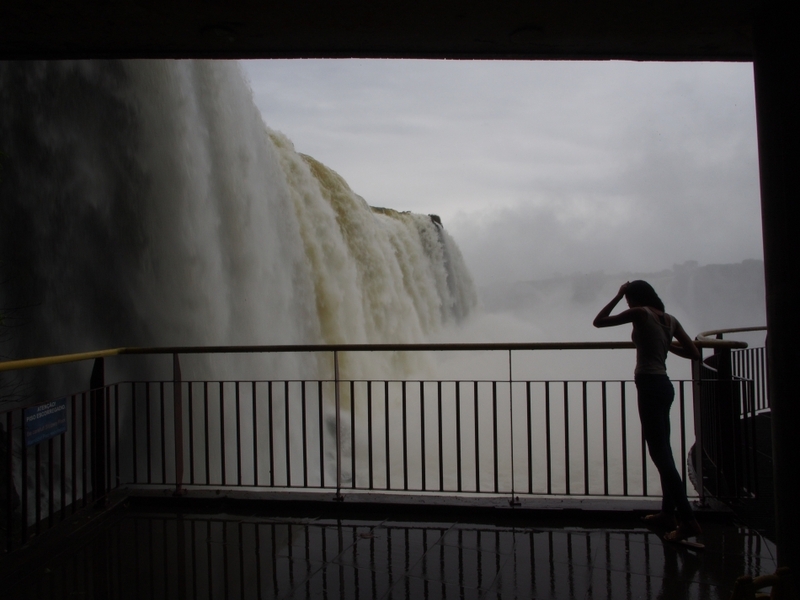 Yesterday, we visited the Devil’s Throat and today we spent a full day on the other three. 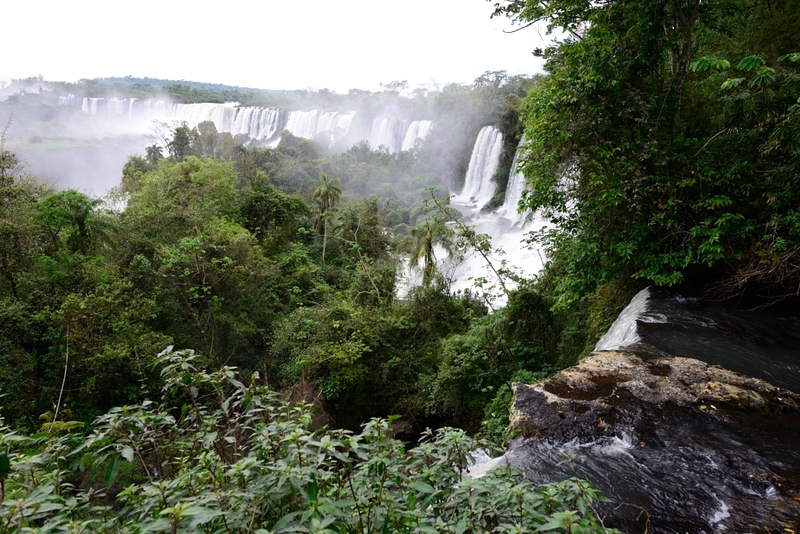 Before we left the national park yesterday, we re-validated our ticket at the ticket office, so today we could get in the Argentine Iguazu National Park with 50% discount. We started the day from Lower Trail, a pleasant hike which took us to various lookouts of the falls at lower to mid level. The weather wasn’t as good as we hoped for, but at least it didn’t rain. 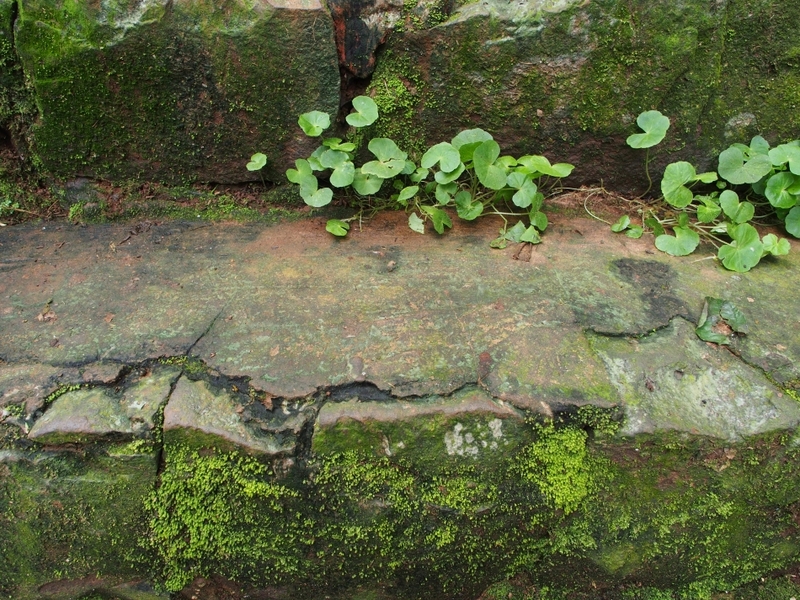 We walked through some dense forests with breaks of glorious views to the falls. 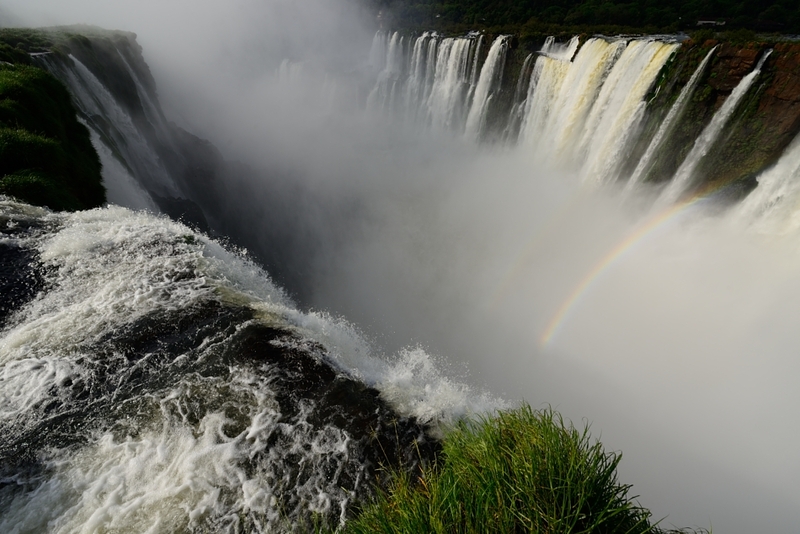 The beauty of the falls is overwhelming, in rain or shine. 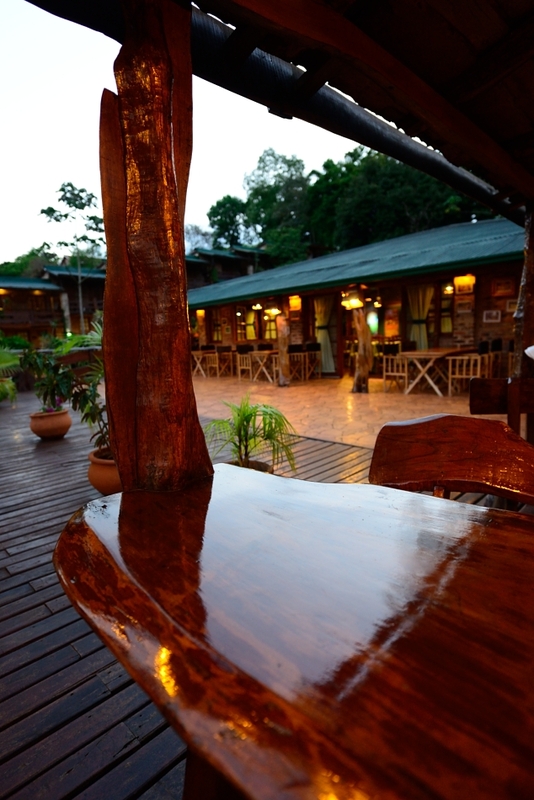 We’ll spend two nights at the Jasy Hotel, a 10-room hotel off on a side street away from the town centre. 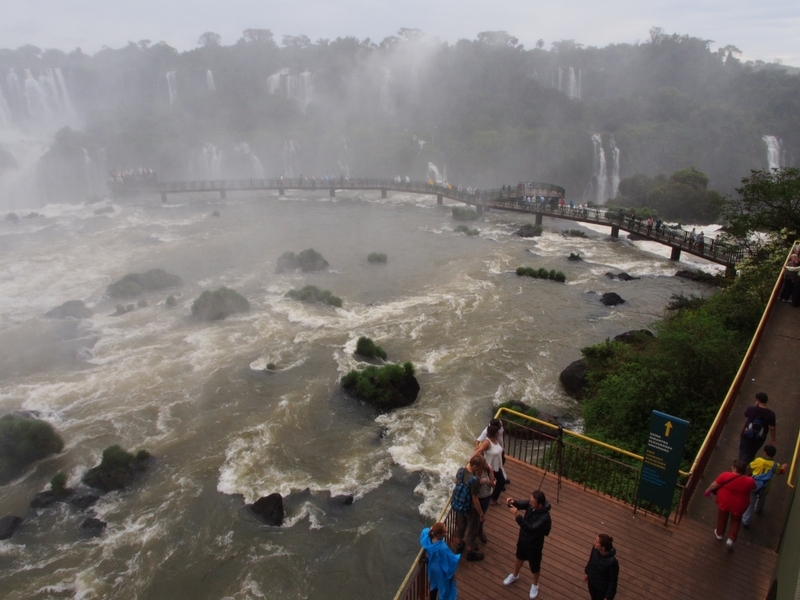 The weather didn’t look too promising as we entered the Portal de las Cataratas del Iguazú (Iguazu National Park in the Argentine side). 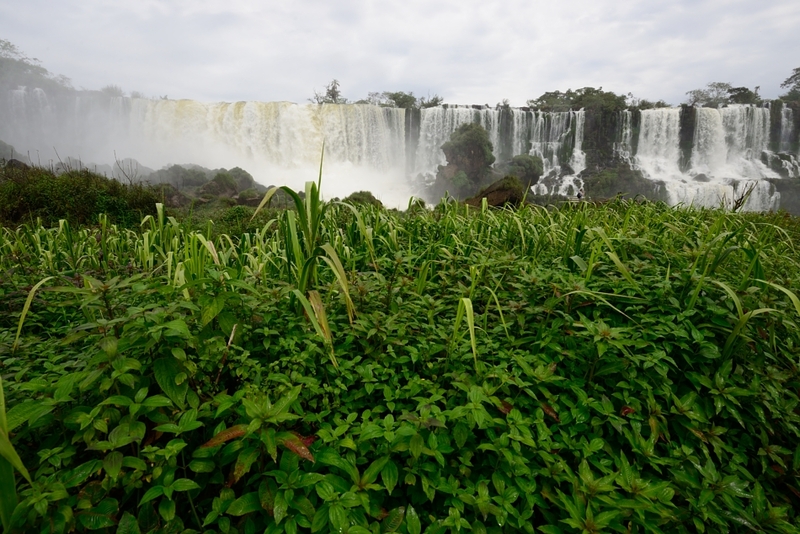 There are a few routes that offer a variety of views of the falls. 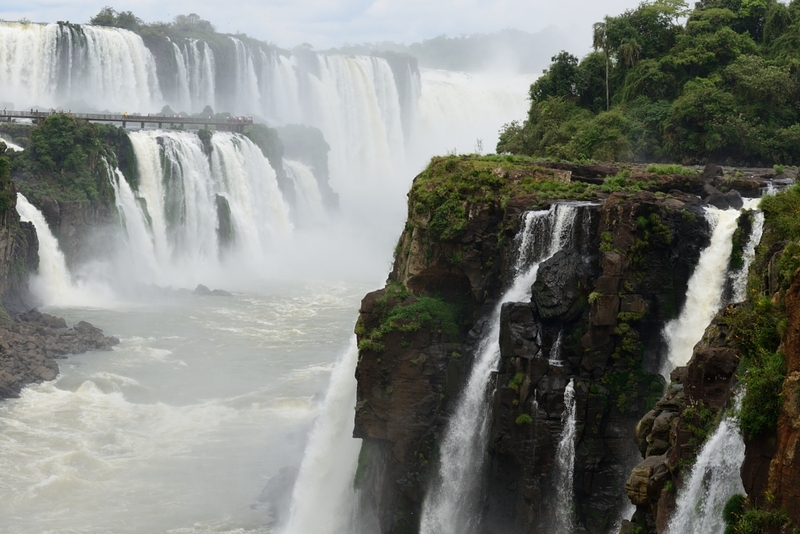 Since we only had less than half a day before the park closed, we decided to go for the furthest lookout, Garganta del Diablo (Devil’s Throat) which would require us to take two separate train rides. The slow train took us to the start of the elevated walkway made of perforated metal panels supported on concrete piers. 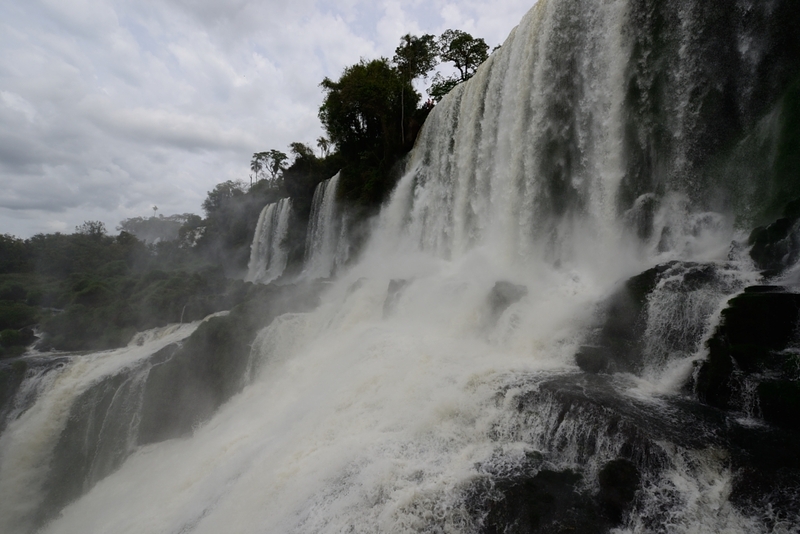 As we were approaching the falls, we could hear the roaring of the rushing water and see the mist in mid air. It took us about 20 minutes to get to the final lookout platform. It was full of visitors; but the beauty of the Garganta del Daiblo made all the hassles insignificant. 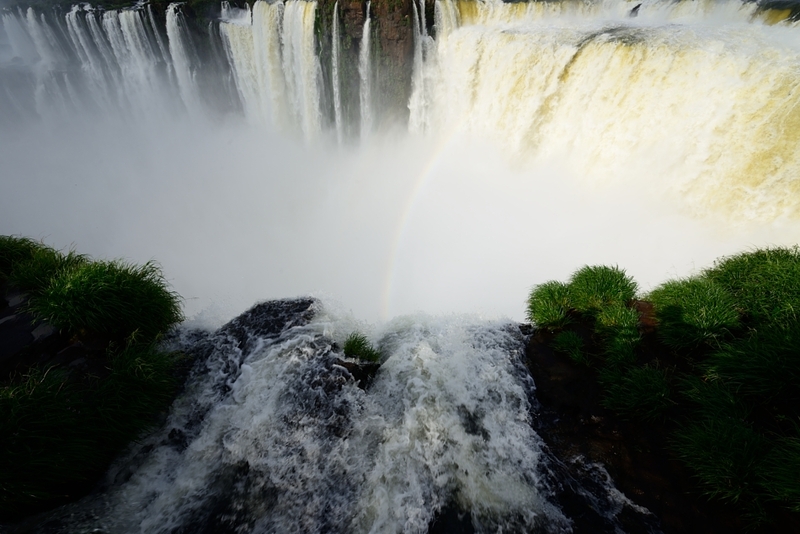 Garganta del Diablo was a good introduction to the Iguazu Fall. Tomorrow, we’ll take a different route to experience the falls.